In July 2013, the American Academy of Pediatrics (AAP) updated “Clinical Practice Guidelines for the Diagnosis and Management of Acute Bacterial Sinusitis in Children aged 1-18.” The new guidelines were published in Pediatrics, the academy’s journal. Highlights of the guidelines are summarized in two articles. Acute bacterial sinusitis (ABS) is a common complication of allergic inflammation or viral upper respiratory infection (URI). Approximately seven percent of young patients getting treatment for respiratory problems have acute sinusitis symptoms. Why ABS and viral URI are confused with each other? The membranes lining the sinus cavities, the nose, the middle ear, the oropharynx, and the nasopharynx are continuous. These membranes are called mucosae in medical terminology. An inflamed nasal mucosa is a main symptom of a viral URI. However, generally the inflammation is also observed in the paranasal sinus and middle ear membranes. Therefore, confusion arises and an imaging scan was recommended earlier for correct diagnosis. Which clinical observations indicate acute bacterial sinusitis? 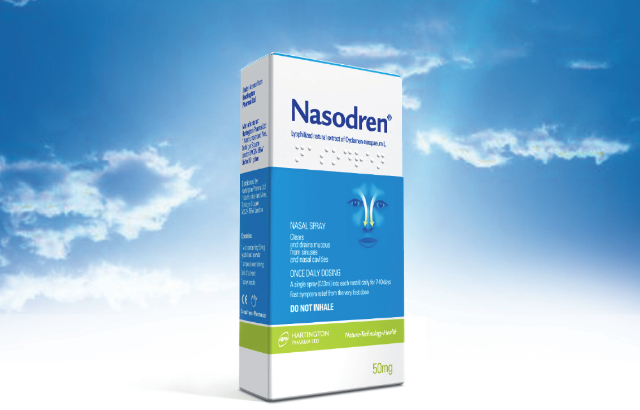 Severe onset: Purulent nasal discharge and high fever (equal to or more than 102.2 degree Fahrenheit or 39 degree Celsius) for minimum of three consecutive days. Purulent discharge means colored, opaque, and thick discharge. Do the guidelines recommend imaging of paranasal sinuses to differentiate between a simple viral URI and ABS? The new guidelines do not recommend the imaging of the sinuses because the images of the young patients suffering from the URI would be abnormal due to overlapping in the findings associated with the two diseases. Especially, imaging is not required in case of uncomplicated ABS. The recommendation protects children from harmful effects of exposure to radiation, saves money, and prevents false-positive diagnosis. When to use a contrast-enhanced computed tomography (CT) and / or magnetic resonance imaging (MRI) with contrast scan of the sinuses? A CT scan is required if the patient also have problems of the central or orbital nervous system. The scan helps in identifying the lesion and the progression, enabling to assess the surgical requirements.